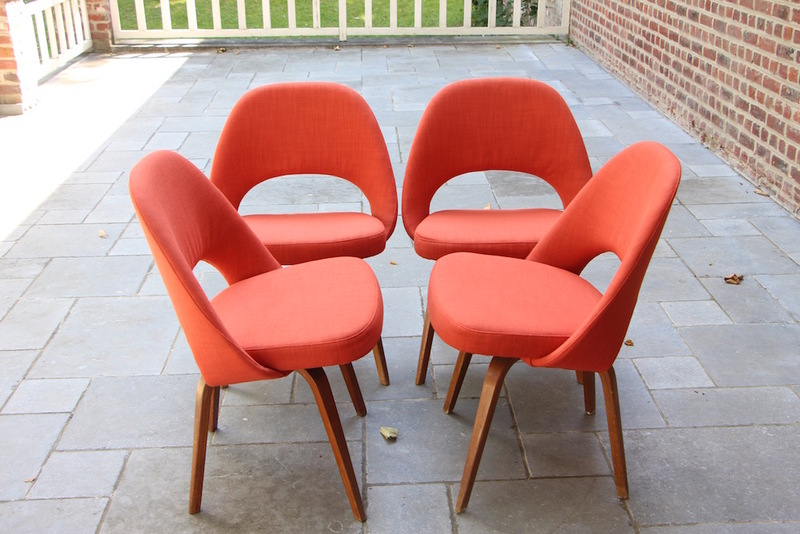 Fantastic set of 4 Saarinen executive chairs for Knoll International (Made in Belgium by De Coene). 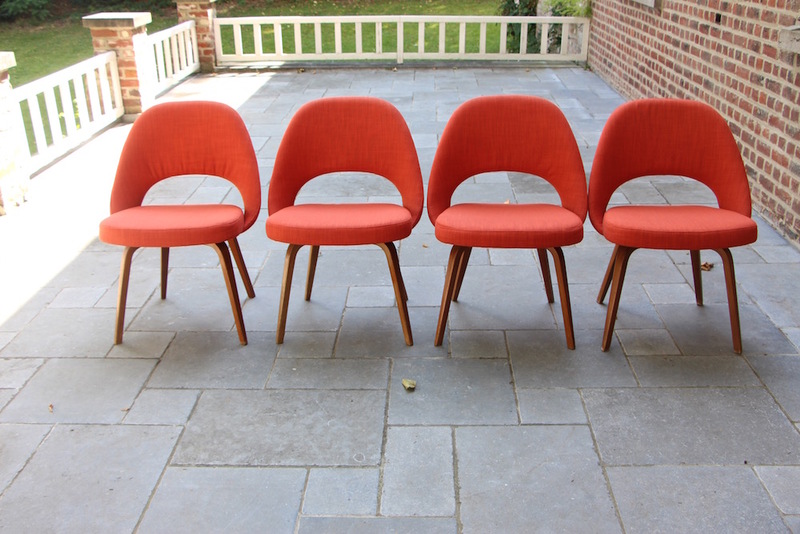 I found the lot as such, already reupholstered (also new foam) in a reddish-orange thick fabric. 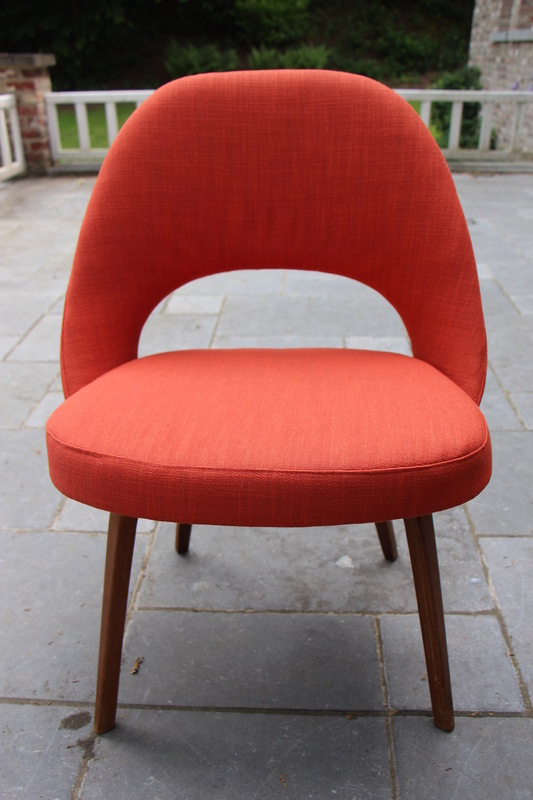 The wooden legs really add to the beauty of this iconic chair. 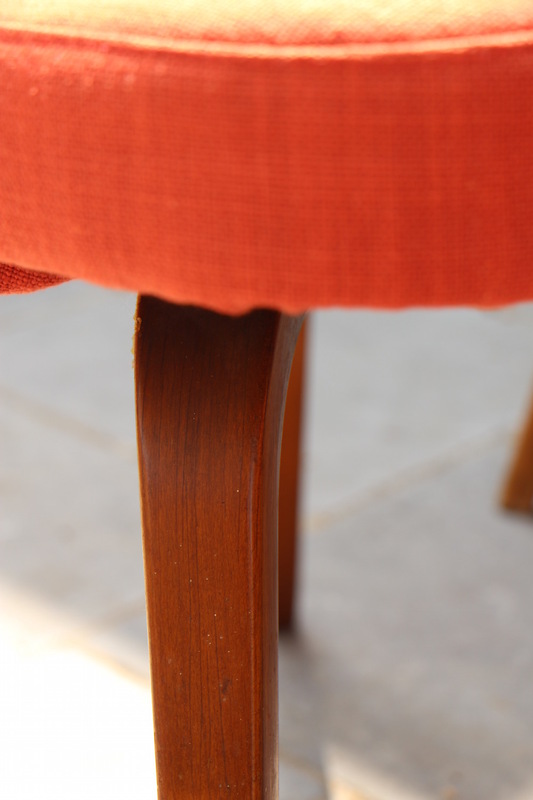 There are imperfections on the legs due to age but isn't that what we, vintage lovers, are looking for? 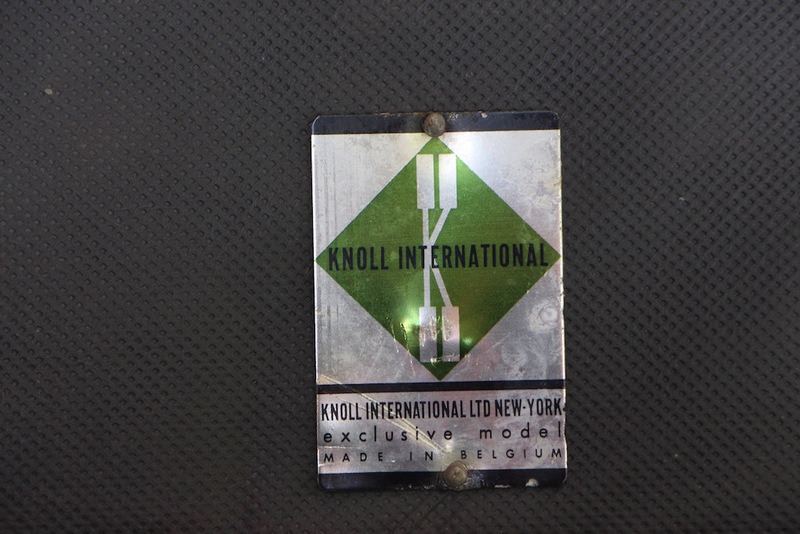 They all have a lable of Knoll International under the seating.